T he new fleece coats are proving very popular. It has been a bit milder – but still damp and chilly. The fleece is lovely and snuggly soft – lightweight – and just what is needed to keep the winter blues at bay. 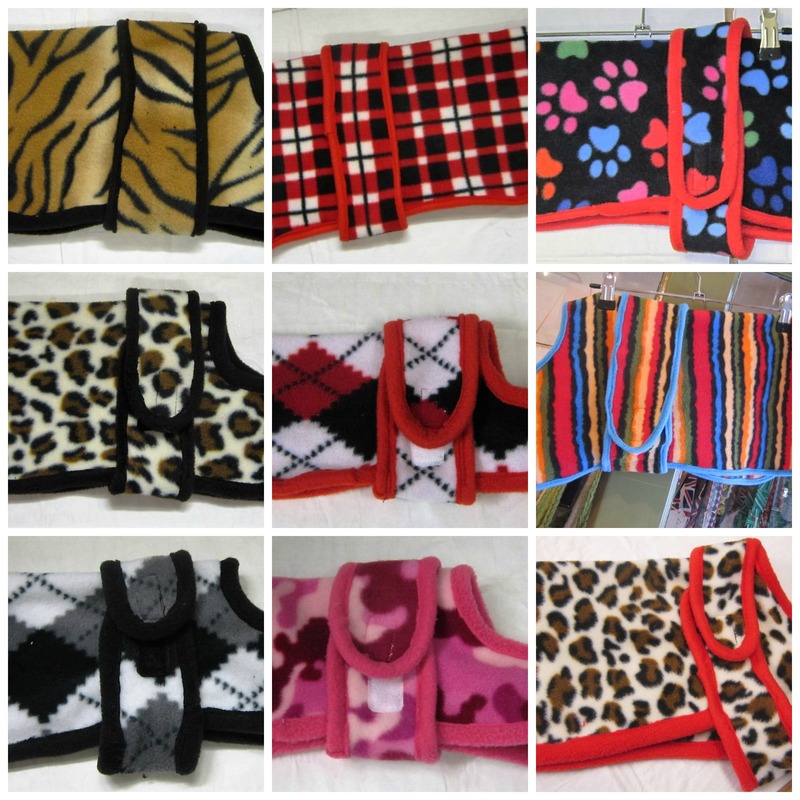 I have this in 5 standard sizes now – but if you have a small, long body dog – or a big, short body one – I can soon alter the pattern to fit your buddy. I have also just picked up an owl pattern fleece and a pirate theme one. I will be cutting out a couple of larger sizes at the end of the week. Handmade Posh Dog Bandanna – 047. Handmade Posh Dog Jumper – 019 – The Weekend Lounger.